Studiolive owners in the New York area—this one’s for you! Come and join us at this exclusive, free event. Space is VERY limited (40 people tops) so get your ticket via the form below! 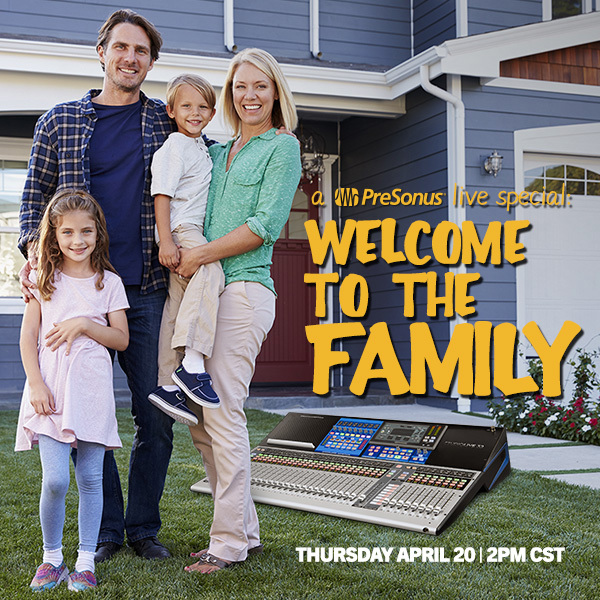 John Tendy will showcase the latest in PreSonus’ StudioLive Ecosystem, which includes the new Series III Mixers, StudioOne and the AIR and ULT Loudspeakers. John will demonstrate how each component works together to give musicians, engineers, and producers the ultimate live and studio recording experience. Urban folk & jazz artist KJ Denhert and her band will be the musical guests. 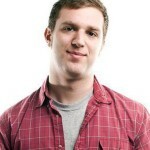 John Tendy is the owner of TendyMedia, a production service that specializes in filming and multi-tracking of acoustic musical ensembles at live venues and in-house. In addition to producing, John has experience in film editing, musical composition, stage direction, comedy writing and voice-over work. As a television composer, he has written national spots for Disney, ATT, Mattel, White Castle, Sonic and more. John works nightly as a jazz and saxophonist, klezmer clarinetist, has performed on Broadway and can be seen regularly with his jazz trio at the historic Showmans Jazz in Harlem, NY. KJ Denhert’s special blend of urban folk & jazz has earned her seven Independent Music Award nominations, was named as one of Jazz.com’s top female vocalists and in 2012 was the grand prize winner in the John Lennon Songwriting Contest. KJ has been the artist in residence 11 times at Italy’s Umbria Jazz Festival. She has appeared at scores of festivals and has residencies at the ’55 Bar, Smoke in NYC, the Baz Bar in St. Barth’s, and the prestigious Umbria Jazz Festival in Italy. KJ’s talents have taken her all over the world, including St Barthelemy in the French West Indies, where she has had a winter residency at the popular Baz Bar for nearly a decade. Consistently praised for her pathos, originality and impeccable musicianship, KJ is a one-of-a-kind songwriter, guitarist and performer, not to be missed. She stays relevant to blues, jazz, singer songwriter and folk music, winning awards in all categories and I currently recording a new CD, due for release in fall of 2017. NYC bassist Jesse Murphy is described by Bass Musician as a “classically trained bassist-turned-Fender-ninja”. Murphy played with John Scofield on his CD, “Uberjam” and enjoyed a stint with Me’Shell Ndgeocello. His work on the title track of the Brazilian Girls’ “Talk to the Bomb” is nothing short of astonishing and his unique style has been described as a combination of James Brown and avant-garde chamber music. 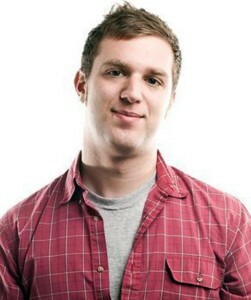 Jesse is also a member of the “Love Trio”, a band that sprang directly out of the Nublu Club scene in NYC. Verve recording artist, percussionist and drummer Aaron Johnston is best-known for being the polyrhythmic heartbeat and producer of the Grammy-nominated band Brazilian Girls, A “remarkably fluid drummer,” as the New York Times has dubbed him, Aaron’s skills have as a writer, produce and engineer have made him one of Latin and American music’s most sought after collaborators. The Brazilian Girls have released three albums on Universal Verve Records, garnering a Grammy nomination for Best Electronic Dance Album, critical acclaim from Rolling Stone and SPIN, tour dates with Sting and festival slots from Bumbershoot to Bonarroo, Coachella and Lollapalooza. In addition to his percussion work, Johnston has contributed to a number of film scores, including Paramount’s OKA Amerikee, a film based on the music of the Bayaka tribe in Africa. Aaron was featured in the May 2017 issue of Modern Drummer. 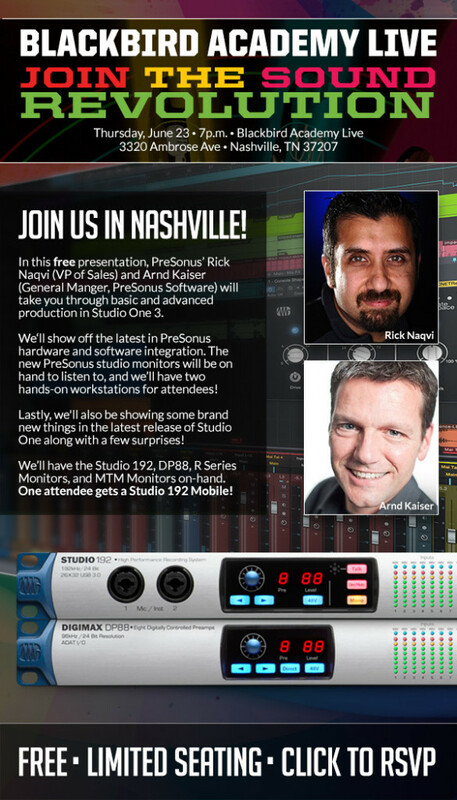 In this free presentation, PreSonus’ Rick Naqvi (VP of Sales) and Arnd Kaiser (General Manger, PreSonus Software) will take you through basic and advanced production in Studio One 3. We‘ll show off the latest in PreSonus hardware and software integration. The new PreSonus studio monitors will be on hand to listen to, and we’ll have two hands-on workstations for attendees! Lastly, we’ll also be showing some brand new things in the latest release of Studio One along with a few surprises! We’ll have the Studio 192, DP88, R Series Monitors, and MTM Monitors on-hand. One attendee gets a Studio 192 Mobile! 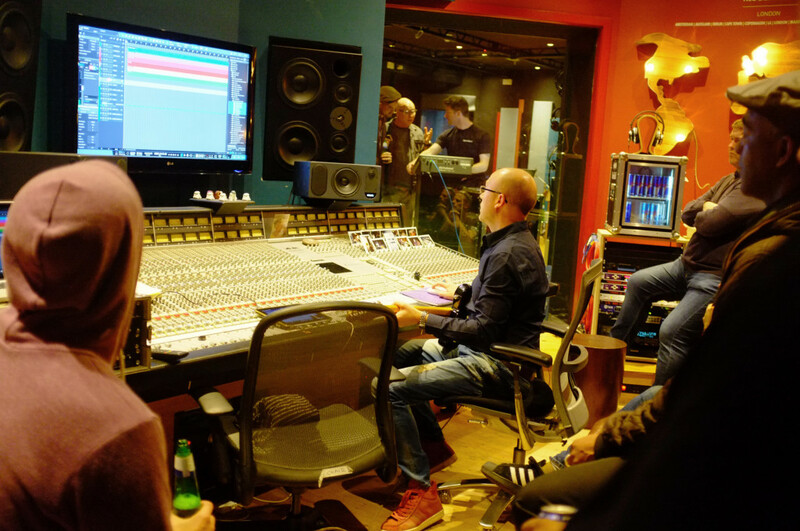 Following on from the huge success of the first event, this is the second PreSonus Studio One 3 Pro Producers event at Red Bull Studios, London. This just in: Arnd Kaiser, The General Manager at PreSonus Software will be joining us at this event and be able to take questions on Studio One and listen to your ideas about future development! The evening will include both hands-on tips and tricks and an extended Q&A session for those using or those thinking about switching to Studio One 3. It is also a chance to network with other producers and engineers. Spaces are limited so book up early! It’s always exciting to see where PreSonus gear shows up all over the world through social media and other various ways. 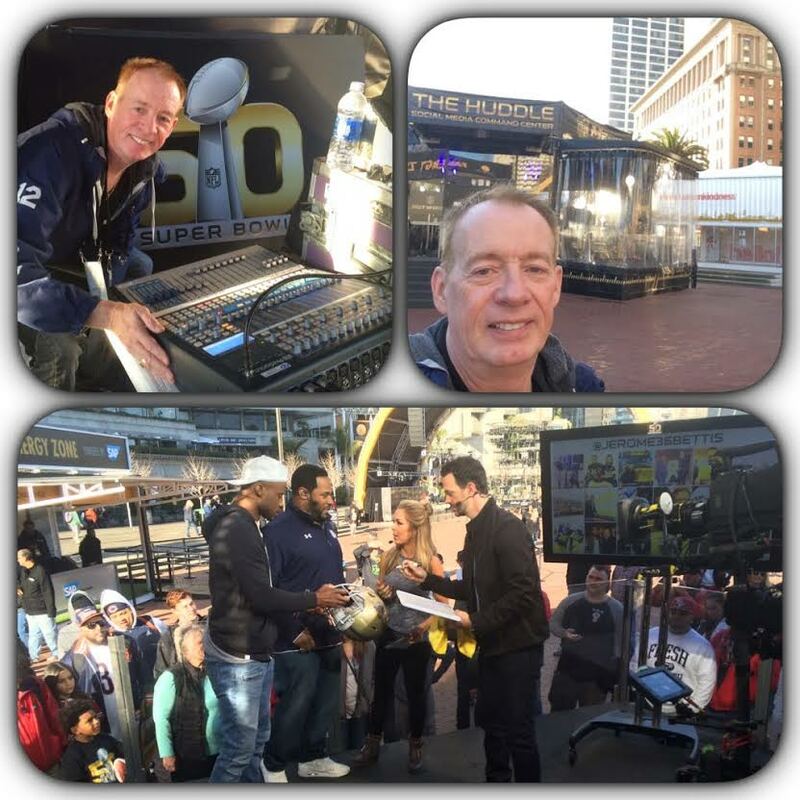 But when PreSonus shows up at the biggest, most watched sporting event of the year, we can’t help but share! Here’s what PreSonus fan and sound reinforcement engineer Vic Thomas had to say about using PreSonus StudioLive at the the big game last week! 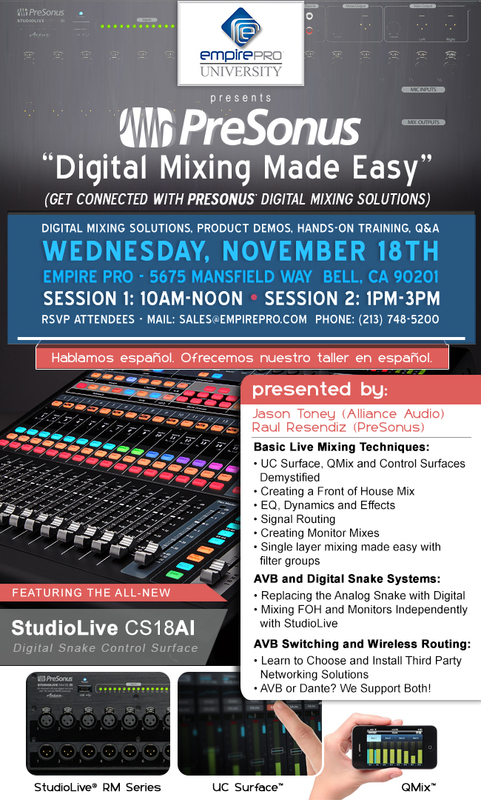 PreSonus day is coming to Empire Pro Audio​ on Wednesday, November 18! You’ll learn basic mixing techniques with UC Surface and the CS18AI control surface, EQ and dynamics, signal routing, and how to replace that clumsy analog snake with a digital AVB snake! 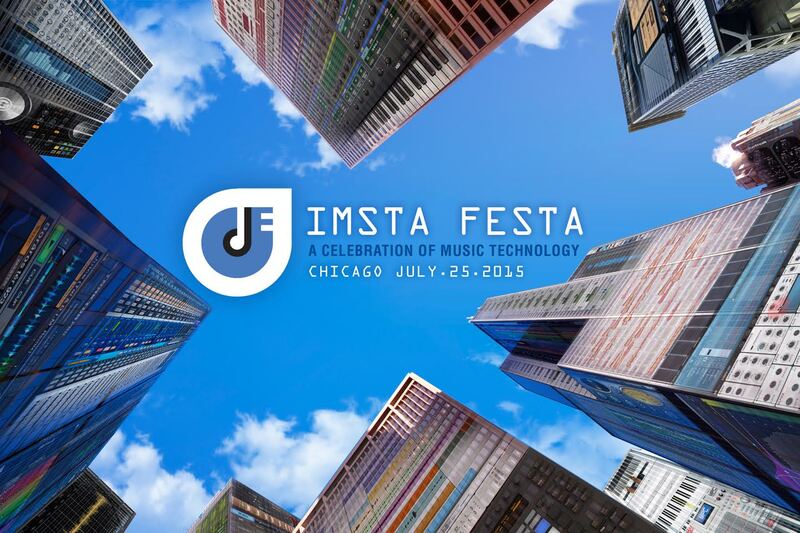 Johnny Geib (@JohnnyTheMuzic) presents Studio One 3 at IMSTA FESTA in Chicago, July 25! Johnny Geib of Home Studio Trainer will be presenting Studio One 3 at IMSTA FESTA in Chicago on July 25! Admission is FREE, but all attendees must register at www.imsta.org. If you’re going to IMSTA FESTA, this is a presentation you won’t want to miss. Visit his site at www.homestudiotrainer.com or hit him up on Twitter @JohnnyTheMuzic. The International Music Software Trade Association (IMSTA), an international non-profit organization hosts IMSTA FESTA in Chicago on Saturday, July 25, 2015 at SAE Institute, 820 N. Orleans Street, Chicago. IMSTA’s principal mission is to conduct public education about piracy in the music software space. The FREE event is open to music makers of all genres and levels including songwriters and music technology professionals, semi- professionals, amateurs, hobbyists, students and educators. Take master workshops, experience new products, network with industry pros. Aspiring songwriters in any genre are invited to enter a songwriting contest by July 4, 2015. Chicago regional winners announced at IMSTA FESTA. Click here to learn more about contest rules or how to enter radio ready songs. Winner of the International song competition will have the chance to win a FREE trip to BlackRock Studios in Santorini, Greece. This free all-day event will feature presentations, training workshops and interactive panel discussions led by industry design consultants, AV installation contractors and IT networking experts. The event will also feature a major interoperability networking demonstration of Dante-enabled products and systems, several of which are debuting at ISE from the industry’s leading audio manufacturers. Dante AV Networking World 2015 has been approved by InfoComm International as a CTS accredited training program. Certified Technology Specialists (CTS) who participate in this informative networking training will be eligible to receive 4 RU credits upon completion of the class. The Dante Installation Workshop will bring together teams from the audience to demonstrate how quickly and creatively a Dante network can be designed. The event will include raffles, giveaways and surprises throughout the day, as well as a sponsored lunch for all attendees and a hosted networking mixer at the end of the day.Seating is limited, so register now to reserve your seat for this premiere event at ISE. Panels and speakers are subject to change. FREE StudioLive AI Training coming up at SAE near you! 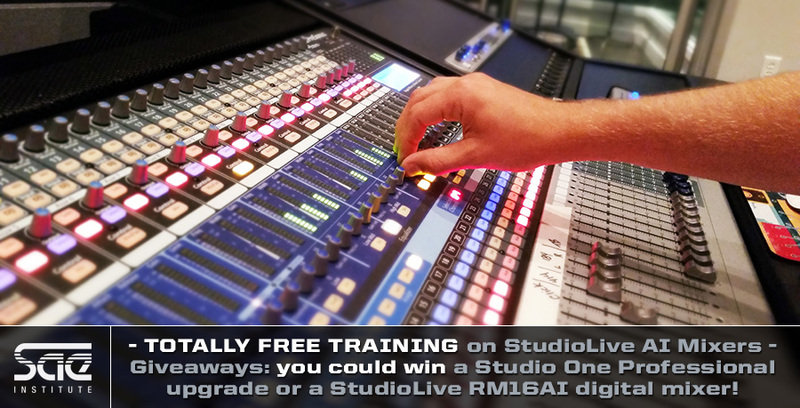 Chance to win Free Studio One Professional Upgrade for attending or a StudioLive RM16AI! Our free StudioLive training series has been such a smash that it’s been extended due to popular demand—and this time around, we’re upping the stakes. 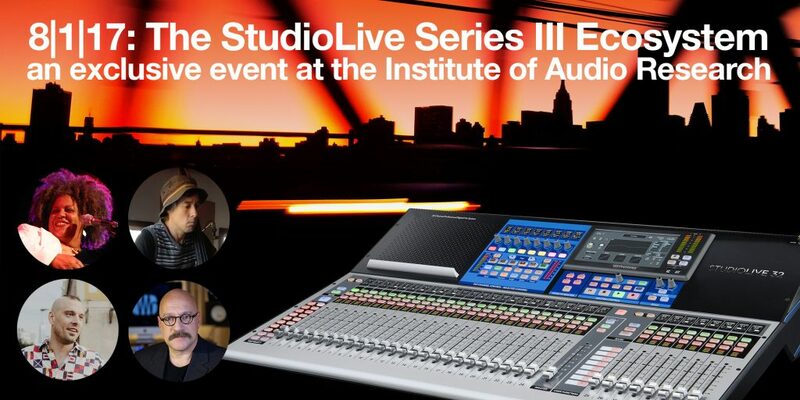 One attendee at each of these training seminars will receive a free upgrade to Studio One Professional—and a single lucky winner who attends an SAE training in January, February or March of 2015 will be entered to win a StudioLive RM16AI digital mixer! You must be present to win. Click here to visit presonus.com/SAE to register for this event and make all your friends jealous.